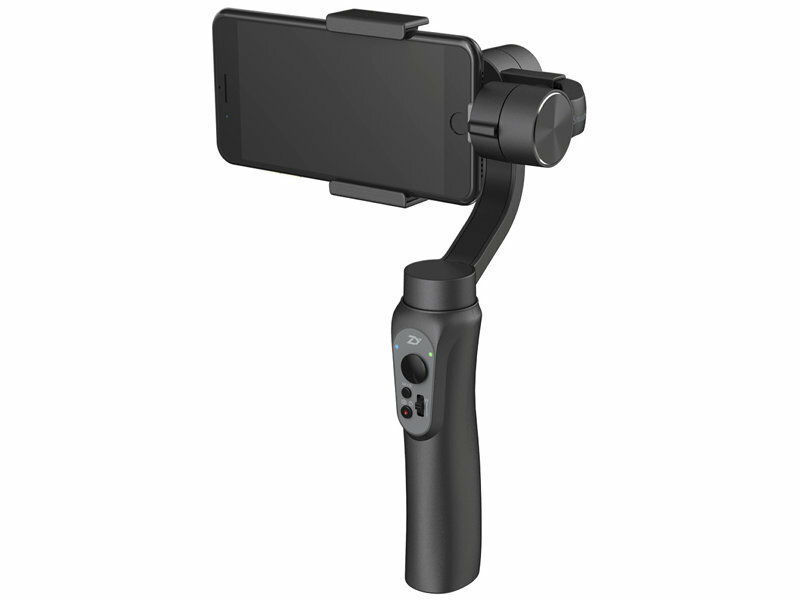 Ultra-light, agile, and powerful, the new generation 3-Axis Smartphone Stabilizer, Smooth-Q from ZHIYUN makes every frame you capture Smooth and steady while eliminating all shakes in shooting. Compactly constructed with a built-in battery supporting up to 12-hour runtime, it weighs only 450g with excellent portability. Featuring advanced electronic stabilizing technology combined with unique extendable axis design for easy one-step balancing, it not only can work with PLUS-size smartphones, but also further supports various add-on matches, such as external lenses and light-compensating lamps. Your smartphone is now turned into a professional motion camera, but more than that, it’s super easy to shoot, edit and share cinematic footage right through one APP - ZY Play, with instant manual zooming, object tracking and other intelligent controls. 450g ultra-light and compact construction.